We would like to thank Tony Locos for their support with our fundraiser this past week. Between the two days of fundraising and the gift card challenge that followed we made another dent in our goal for the new firehouse. 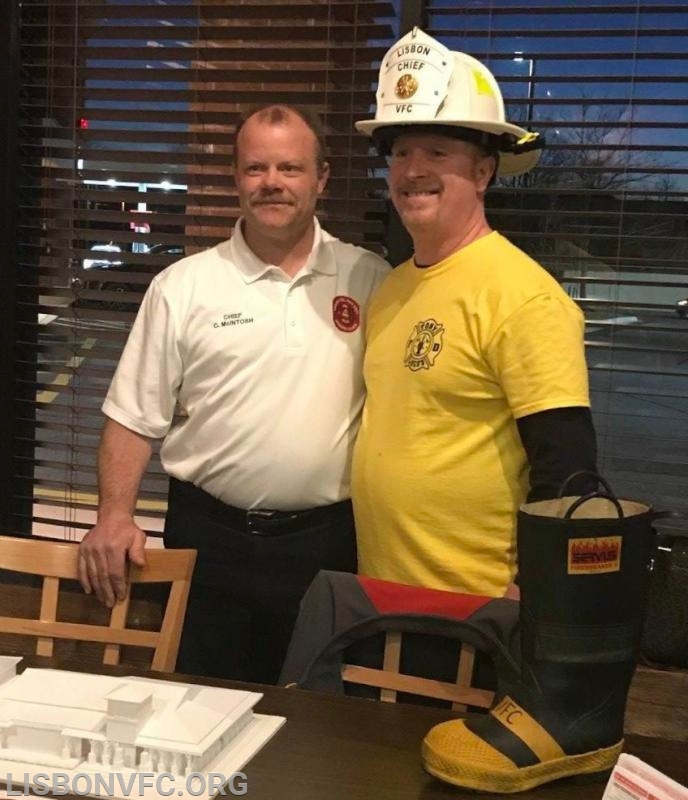 We can’t thank Tony and all the staff at Tony Locos enough, and as always we appreciate all the great support from the community. Stay tuned for future events between us and don’t forget to stop by and enjoy some good food in the meantime. 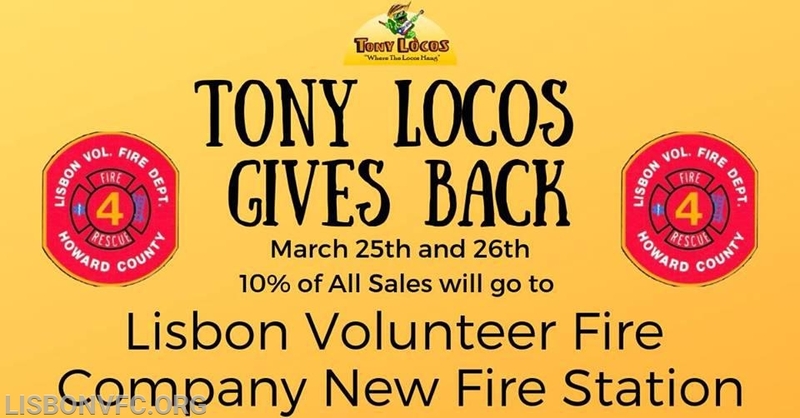 We are excited to announce that on Monday March 25th and Tuesday March 26th Tony Locos has agreed to donate 10% of their proceeds from all dine in and carryout orders to our New Building Fund. Please come out and support us while enjoying good food at one of the best new restaurants in the area. Tony Locos is located in the Lisbon Shopping center at 710 Lisbon Center Drive.